Check out Tobi's Triple Decker Earrings Nothing like some statement earrings and Art Deco inspo to put you in the party mood. 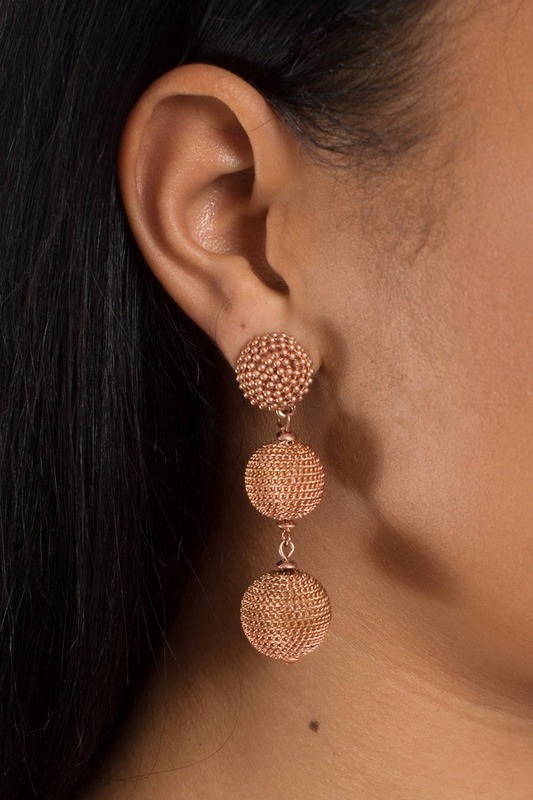 The Rose Gold Triple Decker Earrings feature three tiers of spheres with bead and chain detail to add a fancy flourish to any outfit—but especially a party dress. Nothing like some statement earrings and Art Deco inspo to put you in the party mood. 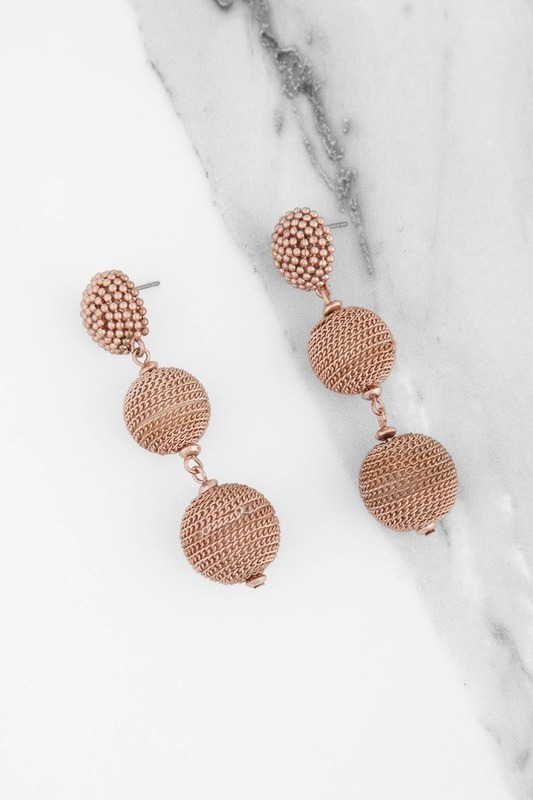 The Rose Gold Triple Decker Earrings feature three tiers of spheres with bead and chain detail to add a fancy flourish to any outfit—but especially a party dress.